The exhibition will be launched by Provost Professor Mark Considine on 3 July 2018 at 5.30pm, in conjunction with the opening of the AILASA Latin America conference. All are welcome to the opening but please RSVP to a.hearn@unimelb.edu.au. 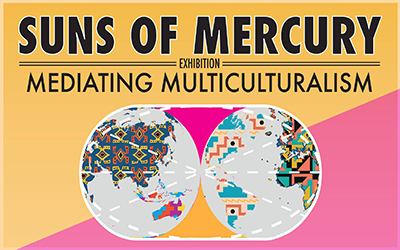 Celebrating the ancient power of music and dance to build unity across languages and cultures, the exhibition is inspired by the messenger god Mercury. The winged boots of the Greek emissary Hermes, the forward and backward-looking faces of the Roman god Janus, and the wisdom of the Yorubá child Echú have in common the virtue of exchange. This virtue is transmitted in digital form through the three videos featured in the exhibition. An exploration of the Afro-Cuban concept of human-natural symbiosis, or Aché (screen 1), is accompanied by the musical journey of the Melbourne-based Suns of Mercury band (screen 2) and excerpts of workshops on music and multiculturalism by its members (screen 3). Together the three videos illuminate the contributions of Latin American musicians, dancers, and spiritual leaders in Australia. Use the provided wireless headphones to immerse yourself in their stories as they transgress cultural boundaries and forge common ground. Cuba's unique culture derives from a blend of European, Asian, and African influences. Aché is a key principal of the island's African heritage, encompassing a philosophy of human symbiosis with nature. Initially brought to the island by two million victims of the trans-Atlantic slave trade, the concept of Aché consolidated over three centuries into the spiritual system known as Santería. Santería has endured discrimination and commercialisation to become a global phenomenon now practiced by some five million people in the United States alone. 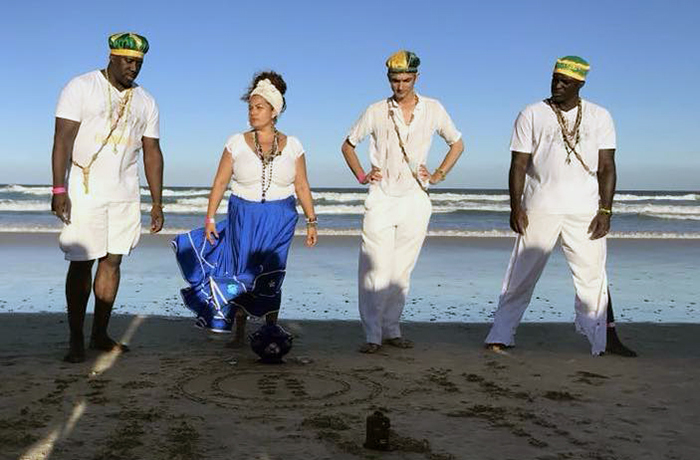 Introduced into Australia in the early 2000s by Cuban practitioners, Santería's focus on human-natural balance aligns with ancient Indigenous beliefs and with emerging public commitments to environmental responsibility. 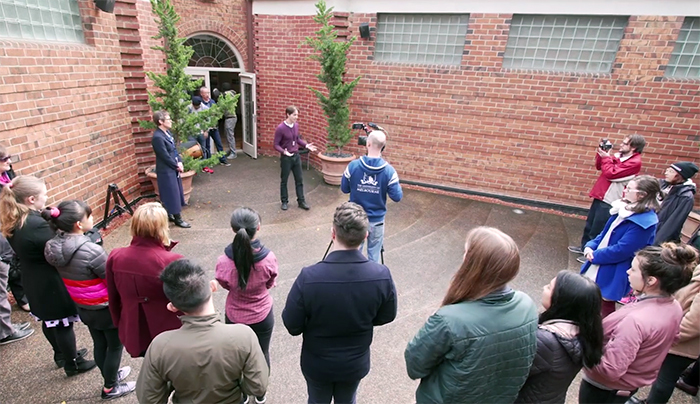 Produced through a partnership between the University of Melbourne, Santería ritual specialists, and a growing community of supporters, this short film explores these deepening connections. The Suns of Mercury ensemble began in Havana as a Latin jazz experiment in 2001. The project grew to include collaborative sessions with artists in Rio de Janeiro, San Francisco, Beijing, Sydney, and London. Described by a reviewer as "Pink Floyd meets Carlos Santana," the band's sound gained international recognition in 2013 through a showcase on the BBC World Service. 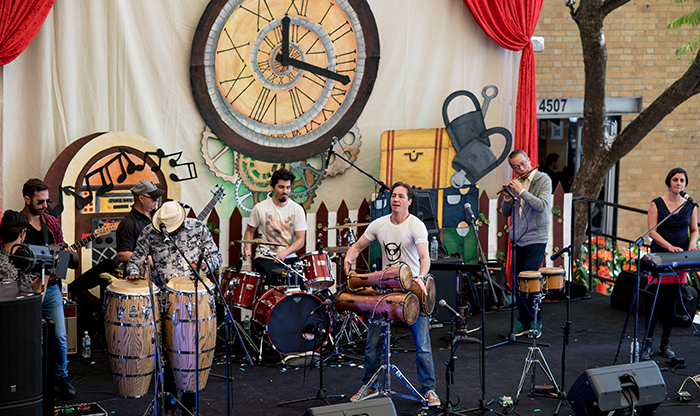 Now based in Melbourne, the Suns of Mercury band infuses Latin influences with the city’s unique multicultural soundscape. This short film brings together excerpts of the band’s live performances, music videos, recording sessions, and interviews with the members. Featured are Oscar Jiménez (guitar), Romy Hernández (keyboard), Luis Poblete (percussion), Daniel Jauregui (bass), Jethro Negron (drums), and Adrian Hearn (vocals, percussion). More information about the band is available at Suns of Mercury website. How does music shape migration experiences? How can dance communicate wisdom across cultural boundaries? Intense Cuban drums and ancient Chinese flutes tell the story in a series of educational engagements by Cuban, Chinese, U.S., and Australian members of the Suns of Mercury band with students from around the nation. This video presents highlights of their workshops at the Grainger Museum of Music and the Afrekete Festival in the Gold Coast. Through these engagements the artists explore of how music and dance can create pathways to cross-cultural understanding.